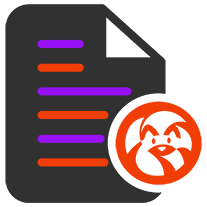 Multi document parser with metadata support. erusev/parsedown: Allow for Parsedown markdown parsing. league/commonmarl: Allow for CommonMark markdown parsing. michelf/php-markdown: Allow markdown and markdown extra content parsing. netcarver/textile: Allow for Textile parsing. symfony/yaml: Allow for YAML metadata parsing. Kurenai is a document with metadata parsing library for PHP. It supports a variety of different document content and metadata parsers. Kurenai is available on Packagist for Composer. Some form of metadata here. Some form of content here. A metadata section, and a content section seperated by three equals === signs or more. Here's an example using JSON for metadata, and Markdown for content. Formats for metadata and content are interchangable using classes called parsers. First, let's create our parser instance. In the above example, we're using a JSON metadata parser, and a Markdown content parser. We can now parse a document. Our documents can have any filename or extension. You can also pass the parse() function the content of a document directly. The document instance has a few useful methods. This will fetch the raw document content. Before Kurenai parsed it. This will fetch the metadata, parsed into an array. This will get the content of the document, rendered using the provided content parser. The get() method uses dot-notation to return a metadata value. For example, the above example would be equivalent to fetching $metadata['foo']['bar']. If the subject can't be found, null will be returned. You can supply a default value as a second parameter to the method.